Years in the making, Bertozzi's graphic novel portrayal of the Parisian art scene of "1907" (really, more like a collapsed 1903 - 1913) is a fine work which we heartily recommend to all those who enjoy the finer things in life. Pablo Picasso, Georges Braque, Henri Matisse, Gertrude & Leo Stein, Alice B. Toklas, Erik Satie and Guillaume Apollinaire are among the lead characters in this sprawling Altmanesque drama. The fictional conceit here is that there is a deranged killer stalking the art scene (Think From Hell, only set in Paris instead of London). The mystery of the killer's identity and motive forms the core of the plot propelling the narrative forward (and makes for many flights of fancy), but is, in the end, merely a pretense to bring us up close and personal with the intimate lives of this close knit set of fascinating historical figures that embodied what many consider to be the most significant art scene of the 20th century.The action takes place right at the critical moment when the artists' work was reaching critical mass, and it is clear that the true mystery we should be focusing our attention on is that of the nature, means and methods of artistic creativity. 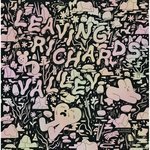 Bertozzi, previously best known for his solo title, Rubber Necker, has been honing his comics skills in print for over a decade, and it is with The Salon that he at last reaps the harvest of his labors. 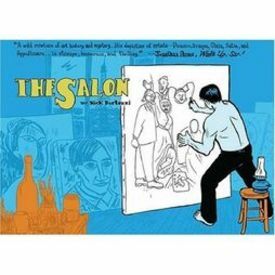 The Salon is a bawdy, entertaining tale that nourishes the mind as well as the spirit. Bertozzi's compositions, pacing and historical research all give strong evidence of sustained focused work. His renderings are pleasing to the eye: he has an ink brush style that falls about half way between that of Paul Pope and James Sturm (both of whom, fittingly, provide back cover accolades). The most intriguing aspect of Bertozzi's art here is its color scheme. The palette of each page of art is limited to two colors, but this two-color palette shifts and jumps across a set range of colors and combinations, all of which are flat and printed on flat white paper to good effect, and each of which relates in some way to the plot, themes, and/or mood of the story. Coloring in comics is too often given short shrift, and it's appropriate that it is given the attention it deserves in a work devoted to a group of painters for whom color concerns were central (even when, as in Braque's case, one is moving away from color).The Salon is published under St Martin's Griffin imprint to whom we offer our thanks for publishing this fine work and our congratulations on their perspicacity.